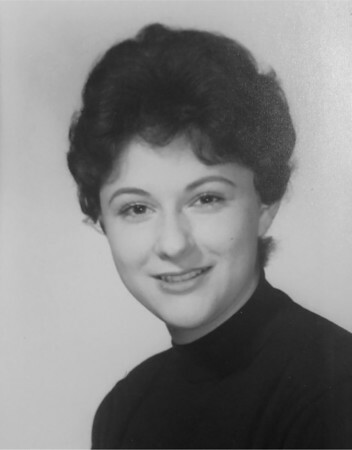 Lydia Usala, 76, of Hartford, passed away early Tuesday morning, at Hartford Hospital. Lydia was born in Bristol, where she lived most of her life before moving to Hartford. She was the daughter of Hilda and Louis Usala Sr.
Lydia is survived by two brothers and sister-in-laws, Dr.Hugo and Joanna Usala of Amarillo, Texas, Louis and Joan Usala Jr. of Bristol; two sons and daughter-in-laws, Greg and Karen Bossie of Holt, Mich., Glenn and Stephene Bossie of Bristol; six grandchildren, Josh, Alex, Emily, Adam, Megan and Alyssa Bossie; two great-grandchildren and several nieces and nephews. Mass services will be held this Saturday, Jan. 26, at 11 a.m., at Saint Anthony’s Church. Burial will follow at St. Joseph Cemetery. There are no calling hours. Donations can be made to St. Anthony’s Church, 111 School St., Bristol, CT 06010. Posted in The Bristol Press, on Friday, 25 January 2019 18:35. Updated: Friday, 25 January 2019 18:38.